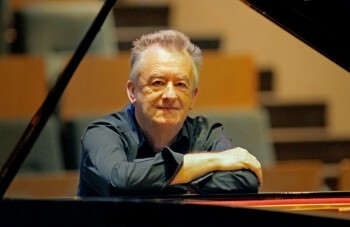 After a recent concert given by Kelvin Grout, the critic was observed rushing out of the hall in tears, refusing to speak with anyone and later writing ‘..an incredible experience, you simply don’t hear anyone play the piano like this anymore!’ The press have also described him as ‘the keyboard wizard‘ and another critic gave him the title, ‘Dr Touché‘. The English pianist Kelvin Grout is best known for his work as a vocal accompanist, working with many of the world’s foremost singers. Celebrating sixty years behind the keyboard, Kelvin, in addition to his accompanying work, is now enjoying life as a soloist, lecturer, teacher and film producer. He is the Director of The Lieder Academy, an international institute, based in the Netherlands, which is fast gaining a reputation of being the leading venue for the study and performance of Art Song. Recently Kelvin Grout returned to the podium as a soloist and received high praise for his unique approach to the romantic piano repertoire. This has led to a many new concerts and projects. His recent performance in the world premiere of Daan Manneke’s ‘Grote Archipel’ was greeted with the highest praise. A new Hugo Wolf Society is currently under construction to promote Kelvin Grout and his expertise in the music of Hugo Wolf. The great soprano Elisabeth Schwarzkopf once declared, ‘if there is Hugo Wolf on the programme, then you need Kelvin Grout as the accompanist.’ This new organisation will endeavour to record the entire collection of Wolf’s songs on CD. The first recording of Wolf’s Mὅrike Lieder will use up to 15 singers from various countries and is scheduled to begin late 2018.